Botanical Name: Peucedanum ostruthium, Imperatoria ostruthium. Other Common Names: Imperatoria romana, servato (Spanish), Meisterwurz (German), benzoin francais (French), mesterrot (Norwegian), mästerrot (Swedish), rohtosuoputki (Finnish). Habitat: Masterwort is probably native to the mountainous areas of Central and Southern Europe, including the Carpathians, the Alps, northern Apennines, and the Massif Central but the plant has been widely introduced and cultivated, so its original native origins are not entirely clear. Description: Masterwort is a smooth perennial plant that belongs to the celery, carrot or parsley family (Apiaceae). It can reach a hight from 30 to 80 cm (12 to 31 inches) with a knobby rhizome (sometimes with runners) containing a milky sap. The dark green leaves are three-lobed and grow from long stalks. The inflorescence is extensive with numerous white and reddish flowers. The plant is in bloom from June to August. The fruits are round, yellowish brown with broad, pale yellow winged edge. Masterwort has a strong celery-like smell, but the taste is somewhat odd. The plant is hermaphrodite (male and female organs on the same plant) and is pollinated by various insects. Plant Parts Used: The rhizomes (rarely the leaves) are used for medicinal purposes. 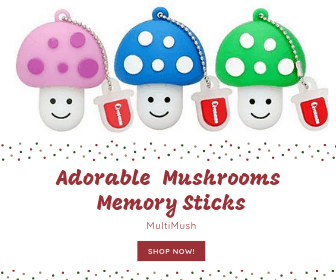 They are collected from wild plants in the spring or autumn and are dried for later use. Active Ingredients and Substances: The rhizome contains a camphor-like essential oil with 95% terpenes (limonene, phellandrene, alpha-pinene, and sesquiterpenes). Also, the roots contain organic acids, rubber, bitter substances, tannins, resins, furanocoumarin, and methoxycoumarin. Masterwort was already used as a medicinal herb in the early Middle Ages. The herb seems to have been unknown by the physicians of ancient Greece, probably because the plant did not grow in Greece at that time. The Latin name of the genus Peucedanum means “bitter” and refers to the plant’s content of bitter substances. The German common name Meisterwurz is the origin of the English common name of the plant. The name masterwort stems from the belief that the plant belonged to the Master (God) and that it had the power to keep the devil, trolls, and witches at bay. In Germany, masterwort was considered to have great healing power, and from the Bavarian Alps, it is known that the root was used for colic pain and the leaves were used as wraps placed on slow-healing wounds. The abbess, artist, author and composer Hildegard of Bingen (1098-1179) seems to have regarded masterwort as one of the most significant universal remedies for high fevers. She stated in her writings that the crushed root should be soaked in vine overnight and the following day the mixture should be screened and more wine added. As a treatment for high fevers associated with the common cold and the flu, she wrote that a schnapps glass of this masterwort vine could be drunk three times a day for three to five days. Also in transcripts by the Danish botanical and medical author Henrik Harpestreng (the 1300s), it is stated that the root could be crushed and added to wine and drunk as a remedy for liver disease, jaundice, cough, and leprosy. In other herbal medicinal books from the 1500s until the 1700s there can be found many praises for herb’s healing properties. It was considered a panacea of sorts, treatment for high fevers, as an expectorant and diuretic agent. It also seems to have been highly regarded as sweat-inducing and menstruation promoting agent. Masterwort has also been used traditionally as a natural treatment for poisoning, kidney stones, sciatica, stomach cramps, flatulence and menstrual cramps. In recent times though masterwort has been used more in veterinary herbal medicine than in folk medicine. In England, the herb has been used as a remedy for sick calves and for promoting milk production in cows. Furthermore, it was used as a treatment for sore udders of cows. In Sweden, there have been reports that the plant has been used to treat the lack of appetite in cows and horses. Still, the herb has also medicinal uses beneficial to humans. Masterwort is an aromatic bitter herb that is regarded to have a warming effect on the central areas of the body. Today, the herb is mostly used to increase appetite and as a tonic for the stomach. It increases the secretion of the digestive fluids, which in turn can stimulate digestion. The herb is thought to lessen gas formation in the intestines and thus reduce the feeling of bloating. It also may dampen diarrhea and loosen cramps in the stomach and bowels. Masterwort is sometimes also used to relieve painful menstruation and for chronic respiratory diseases accompanied by mucus formation. The herb contains several active substances which are thought to contribute to the anti-inflammatory and anticonvulsant effects it has on diseases of the respiratory system and gastrointestinal tract. 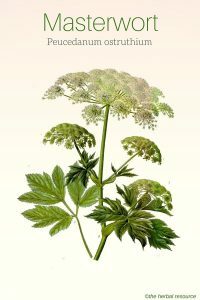 Masterwort does have the same medicinal properties as angelica (Angelica archangelica), but no apparent advantages and this is perhaps one of the reasons that the plant is no longer of any significant use in herbal medicine. Still, based on the herb’s extensive medicinal uses in the past, it might deserve a closer look and examination by modern research methods. The whole plant can be used as a spice, but the leaves and the flowers have a far milder flavor than the roots. Masterwort can be used in the same way as lovage (Levisticum officinale) in soups. The leaves can also be used in small quantities in salads to add a sprinkle of green color. Roots and seeds can be dried and powdered and used as a kind of pepper substitute, and it is said that they have a stronger taste than pepper. The root can be used as a flavoring agent in snaps and liqueurs. As a Tea/Liquid Extract: Add a teaspoon of the dried root to a cup of boiling water and allow it to soak for 10-20 minutes before straining. Harmful side effects have not been associated with masterwort in recommended therapeutic doses, but in high doses, the herb is considered to be slightly toxic. If the herb is applied to the skin, allergic reactions may occur if the skin is exposed to sunlight at the same time, due to the furanocoumarins. 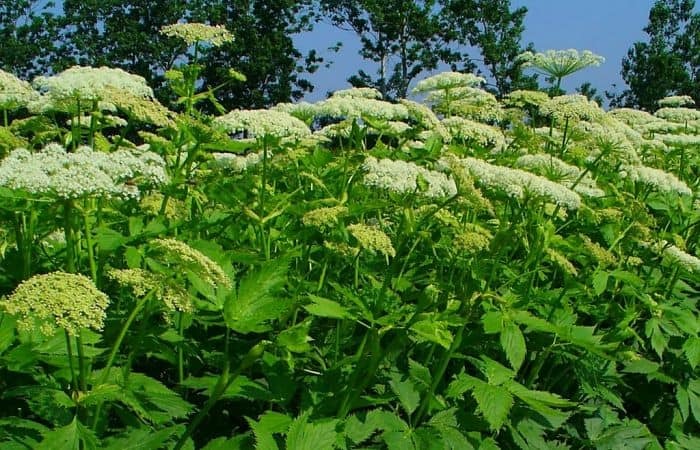 A similar phototoxic reaction may occur when touching angelica (Angelica archangelica) and some other plants belonging to the celery, carrot or parsley family (Apiaceae), especially plant species in the genus Heracleum. Weiss, Rudolf Fritz & Volker Fintelmann: Herbal Medicine. The second edition revised and expanded. Stuttgart, Thieme 2000.